Download our medical waste brochure. Safety is always a major concern when dealing with hospital waste. 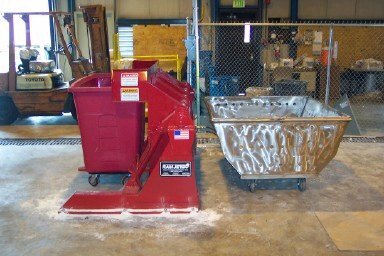 The cart tipper with spill chute is designed to load red bag infectious waste from the hospital floor carts directly into the autoclave cart hands free. This significantly reduces the handling of the regulated waste.